This is the most awaited module for Magento community working on every Magento versions. 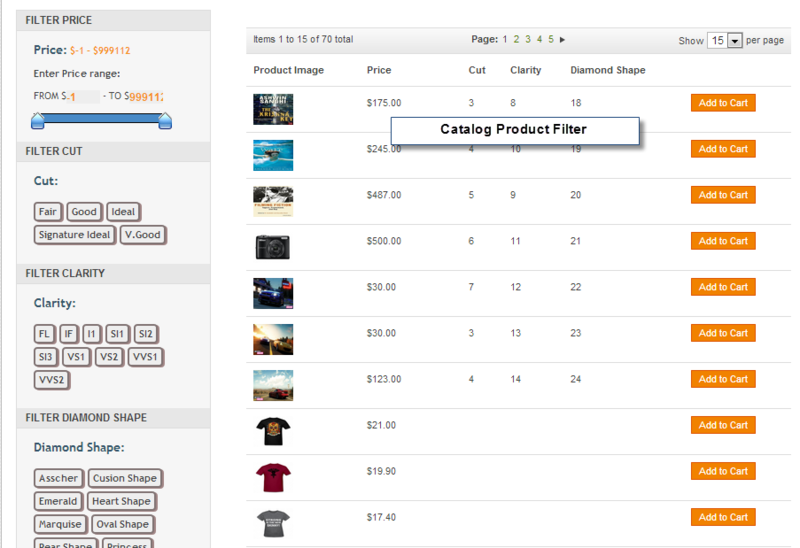 Magento catalog filter is very useful to filter whole Magento catalog from price to attributes. Installation of the module is super easy you need to move the app and skin folder into Magento root directory. After those primary steps, you just need to configure the module. 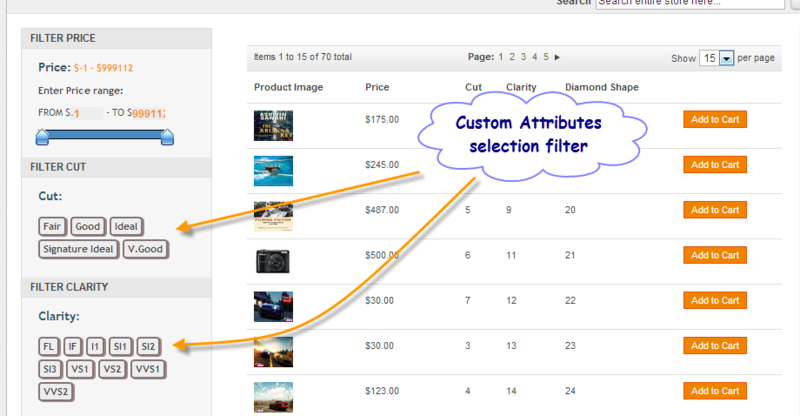 Module usage are very easy what you need to do is create the custom attributes and module will display the grid of attributes and admin need to choose those attributes to display in front-end of the filter as follows. And from the dropdown, you may choose the action for displaying. It will output as below. 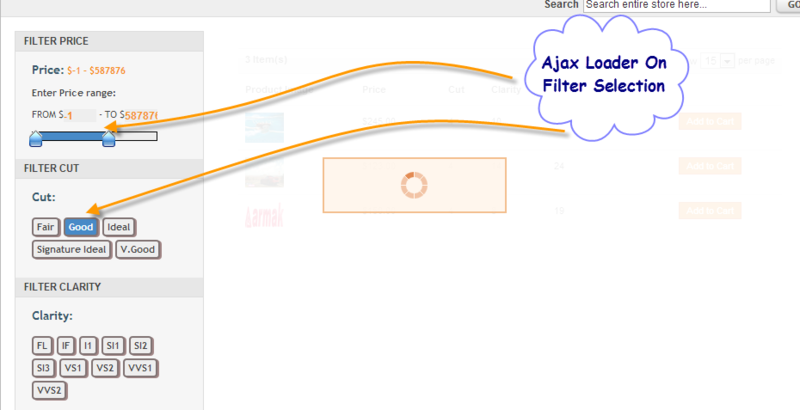 After any of the selection of slider or button selection ajax filter will filter the data. If there is no product found under this filter then it will display the warning.